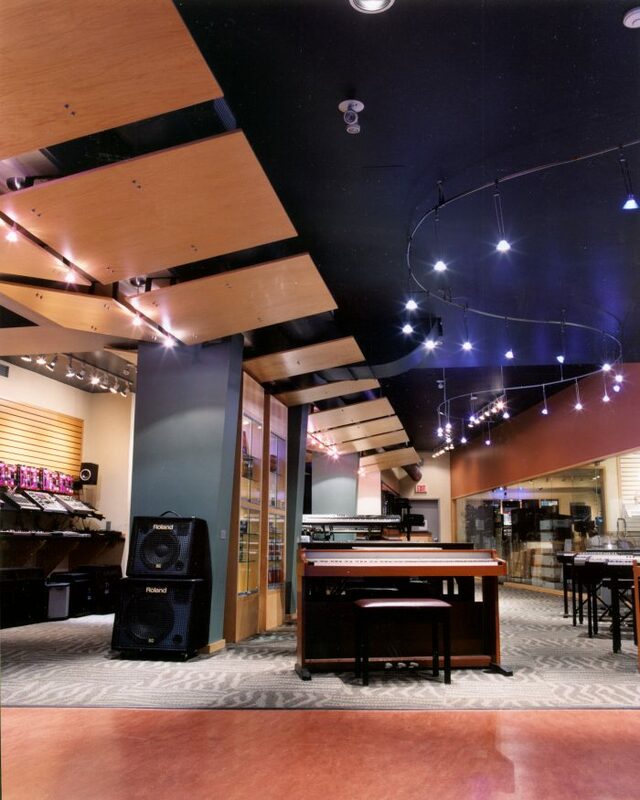 A client since 1997, we have worked with Long & McQuade to design 11 new music stores as well as remodel numerous existing stores in locations from Ontario to British Columbia. The translation of Long & McQuades Brand into their physical environments has seen an increase in sales and profit. Vancouver, B.C. 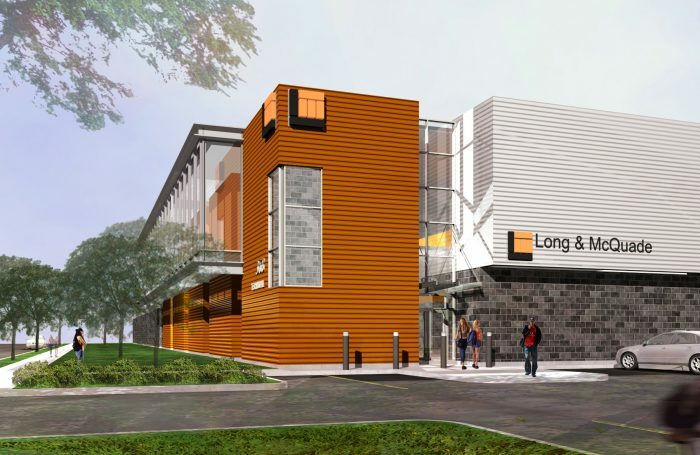 : This new 34,000 SF structure will be split into approximately two equal floor plates and is a major commitment by the client in terms of a retail/regional distribution centre. Port Coquitlam, B.C. : This stand alone structure is located in an existing industrial area. The interior spaces are interconnected with a large winding stair between the two retail floors. The main floor has a split of retail and warehouse functions with separate entrances for retail and rental. In addition to retail and warehouse functions, the second floor also has teaching studios contained within the four metal clad rooms which sit behind the glass billboard. Toronto, ON. 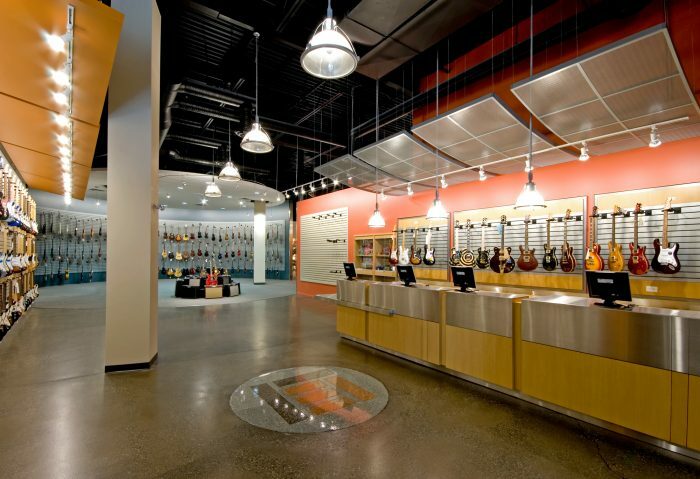 : In 2001, Long & McQuade purchased two adjacent properties in order to expand their existing Toronto guitar store. 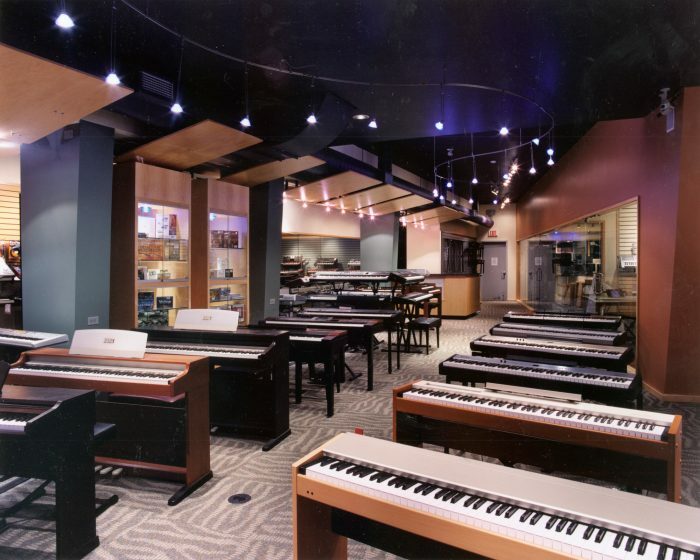 The intent was to create a new main floor keyboard store with second floor meeting room spaces. The conversion of the two new properties proved challenging: life and safety issues were addressed with new exiting, fire separations and fire protection and the installation of new supports for the existing foundations and a new roof.